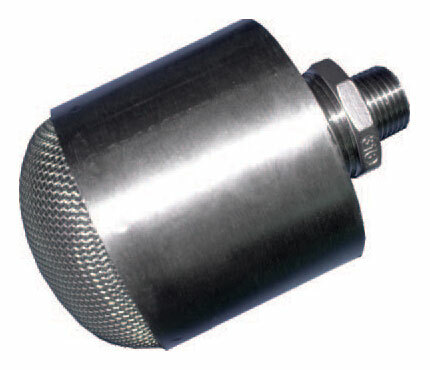 FWN model Nozzles are specially designed for in rack protection with their compact size against all kinds of fire risks including flammable liquids where alcohol resistant foam concentrates are used. The special design creates a full spray cone up to 120° while expanding the foam concentrate AFFF-AR types up to 1:15 by creating an expanded foam blanket. The inlet port carries all structure of the equipment while housing a brass spray nozzle. The expansion room and expansion nets are connected to the inlet port, made out of completely stainless steel corrosion resistant materials. Foam solution sprayed from the brass nozzle creates Venturi effect. Ambient air sucked from the openings at the back of the equipment. Its special design enables to expand the foam solution, maintaining the spray angle and the flow rate. According to the flow rate, connection to the fire network is threaded DN 15-½" or DN 20-¾" and available flow rates are factory calibrated between 28-521/min * bar^½ Metric K factors.